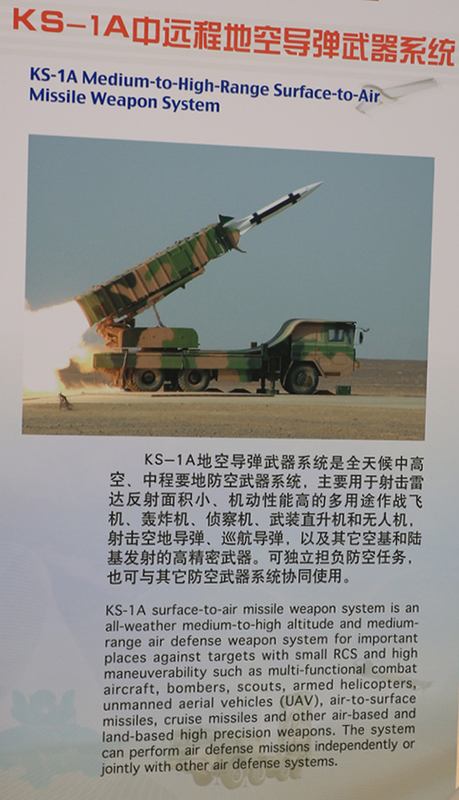 Why Pakistan doesnt purchase Chinese air defense systems such as KS-1A is beyond me. Prasun Sengupta (Trishul Blogpost - not the most credible source out there eventhough he writes for Janes) says PA seems sold on LY-80E. Edited by Magnus, 21 November 2012 - 10:51 AM. 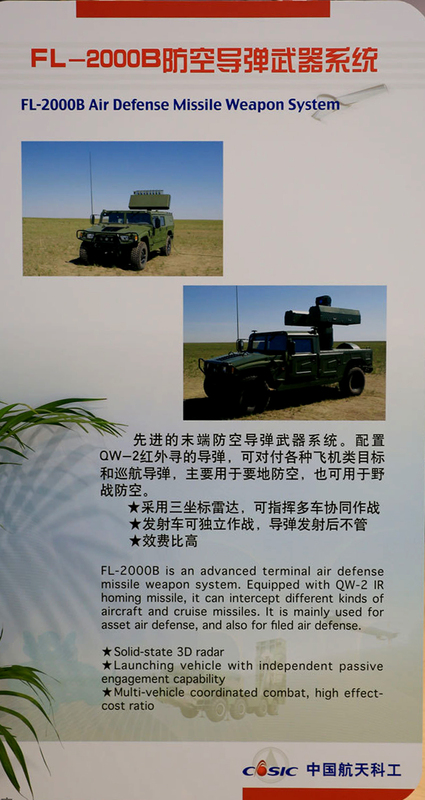 Chinese NLOS-LS equivalent? Range 70 km, warhead 40 kg. Its like a mini cruise missile. A single truck seems to carry 18 missiles. A three ship formation of JF-17 Thunders landed at an operational PAF Air Base on Monday after participating in the Zhuhai Air Show (China). These JF-17 Thunders had participated in the static as well as aerobatic segment of the air show. According to PAF, the Thunders had flown more than 3,000 Nautical Miles (5,500 kilometers) and crossed the snow-covered Himalayas en-route to Pakistan. The Zhuhai Air Show in China attracted thousands of visitors from across the globe and the JF-17 Thunders remained the “Star of the Show” yet again.The Pakistan Air Force, along with CATIC, jointly won the coveted “Aerospace Laureate Awards 2012” for working together on a successful aircraft development and production programme. Pakistan Air Force has not only been holding joint exercises with air forces of the friendly countries but also regularly participating in various air shows of the world. 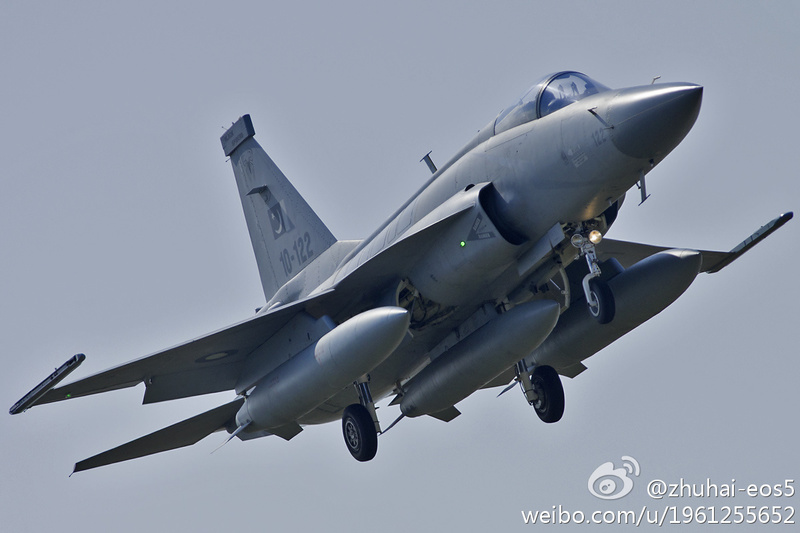 This is the second consecutive occasion that PAF has participated in the Zhuhai Air Show. 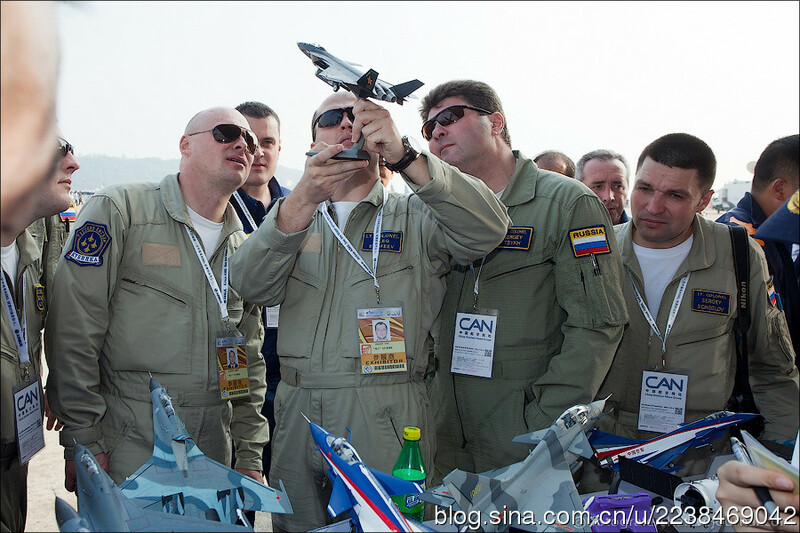 On 13 this month, the 9th China International Aviation & Aerospace Exhibition opened in Zhuhai; 650 aviation and aerospace companies from 36 countries and regions worldwide take part in the event and enjoy the party in the sky. Compared with the previous Airshow, there are 50 more exhibitors and 5,000 m2 more net indoor exhibition area in this year's event. Besides, the professional standard and internationalization standard of this year's event have been elevated onto a new level. Chinese and foreign aviation and aerospace enterprises make use of the exhibition as a platform to get into close contact with one another, seeking supplementary and cooperative development. Debuts of numerous Chinese "awesome products"
Aviation Industry Corporation of China (AVIC), a leader of China's aviation industry, brings more than 150 aerospace products to the Zhuhai Airshow. 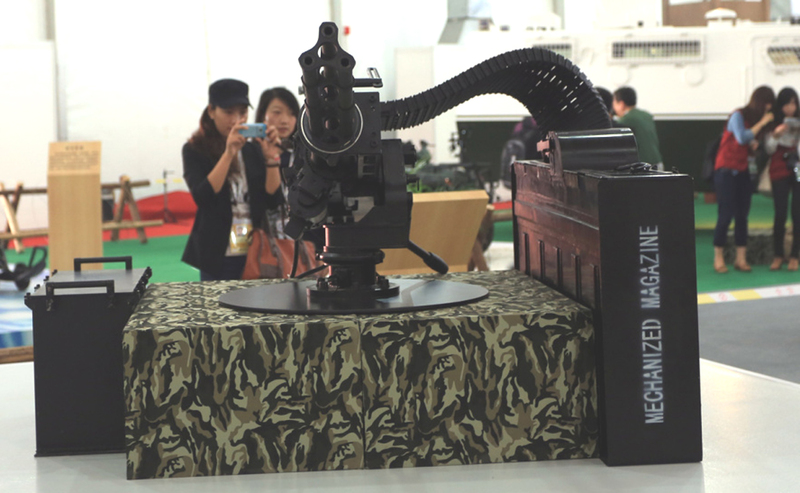 44 products, including the WZ-10, WZ-19, and YL UAV, were debuted, among which a new model of fighter jet attracted extensive attention. 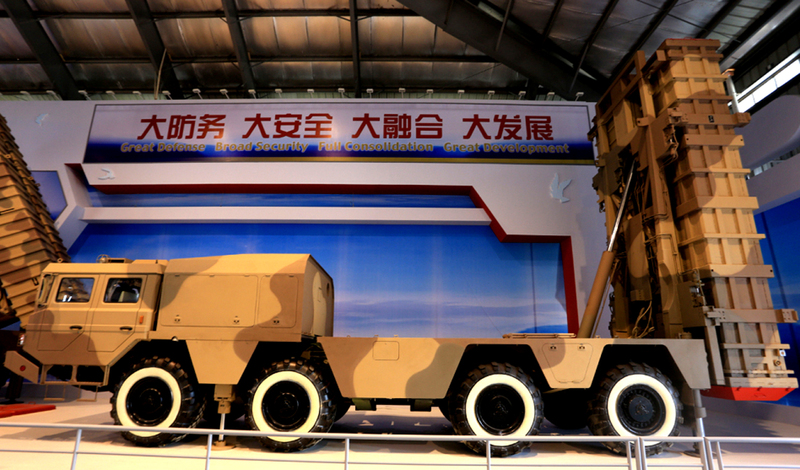 Tan Ruisong, general manger of AVIC, said that in this exhibition, AVIC focused mainly on six major lines, namely military aviation, civil aviation, helicopter, general aviation, aviation engine, and transportation system, exhibiting AVIC's high-tech and new aviation products in all aspects. 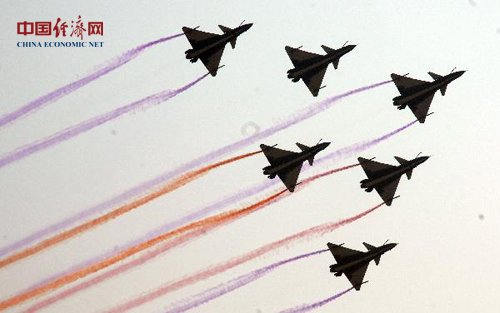 China's air force displayed the strength and image of China's air force in a more open manner, exhibiting such fighter jet models as J-10, J-8, and JH-7 and other airplane models such as HY-6, KJ-200, Z-8, and Z-9. 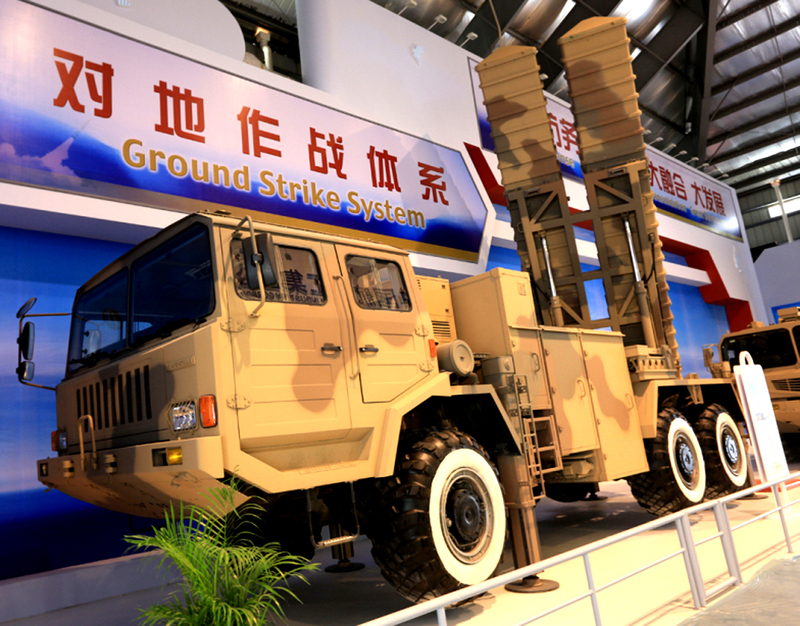 Commercial Aircraft Corporation of China, China South Industries Group Corporation, China Aerospace Science and Technology Corporation, and China Aerospace Science & Industry Corporation have all responded actively to this year's Airshow, sending powerful product lineups to the exhibition. COMAC brought a new regional line airplane ARJ21-700 that is currently undergoing model qualification approval test fly; CASC exhibited real missile launching vehicles and UAV; CASIC focused on exhibiting its arms trade system and virtual confrontation demonstration and more than 50 related arms trade products. 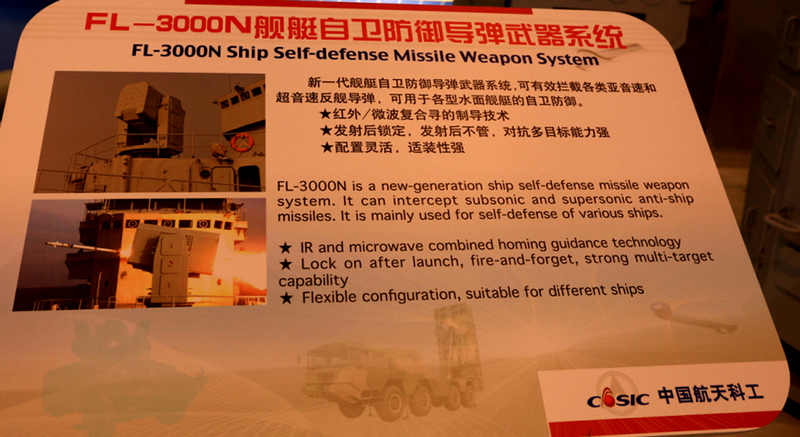 In the exhibition halls, posters in foreign languages and foreign faces can be seen everywhere. Thanks to the great appeal of the Chinese market, numerous foreign aviation and aerospace enterprises have come to take part in the event. USA's Boeing, Europe's Airbus, Canada's Bombardier, USA's Honeywell, and General Electric have all sent delegations to the exhibition. 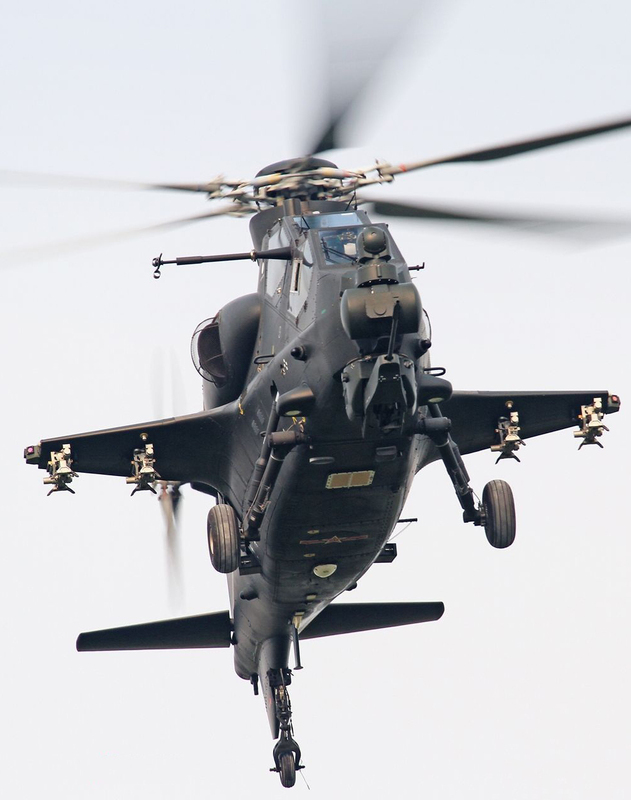 In major air shows home and abroad, there are generally "entertainment programs" of acrobatic flights besides the standard routine of exhibition of latest flying vehicles. 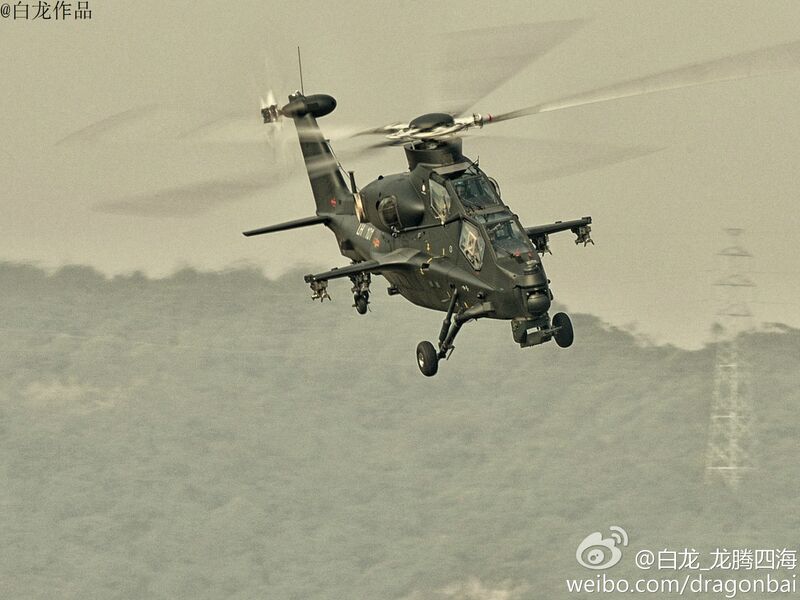 In this year's Zhuhai Airshow, there are famous foreign aerobatic teams besides China air force' "8.1" aerobatic team. 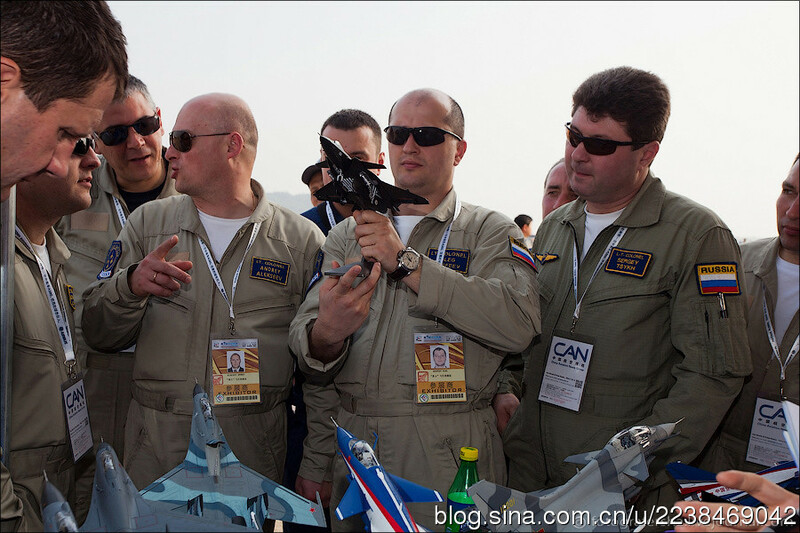 The Russian Knights Aerobatic Team sent 5 Su-27 to Zhuhai, marking their return to the Zhuhai Airshow after a separation of 6 years. They will perform flight exhibition as well as static exhibition. Breitling, the only private aerobatic team in the world, has also made their Chinese debut here, presenting breath-taking and extraordinary "cloud walk" to the audience. These Chinese and foreign aviation and aerospace enterprises gathering in Zhuhai make use of the platform of the show and communicate with one another frequently to seek supplementary cooperation opportunities. Commercial Aircraft Corporation of China signed C919 passenger plane user agreements with Hebei Aviation Group, Joy Air, and GECAS, and signed airplane purchase understanding memorandum with USA's Eastern Air Lines. Not only Chinese enterprises are actively connecting to the international market, foreign enterprises are also looking forwards to the Chinese market and taking initiatives to deepen cooperation. Chen Juming, senior VP of Airbus China, said that Chinese aviation enterprises have taken part in all aspects of the design and manufacturing of Airbus' aircrafts. Currently, all Airbus' civil airplane models are equipped with parts that are manufactured by Chinese enterprises, and not only that, Chinese enterprises have also participated in the design and manufacturing of Airbus' latest models.